Hello, fellow German Shepherd lovers! Congratulations on being the owner (or being owned by) one of the USA’s most beautiful, affectionate pooches! If you’re wondering what’s in- and what’s not in- the best dog food for German Shepherd puppies or grown-ups has got in it, you’ve found yourself in the right place. We’ve been chatting with awesome German Shepherd owners such as yourselves, some vets, and been doing some serious research into what makes a healthy and wholesome dog food for German Shepherds or a super puppy food. What we’ve come up with is some in-depth information for you on the ingredients you should be looking for when browsing the best puppy food for German Shepherds and why, as well as those your little friend’s puppy food or dog food doesn’t ever need. Finally, we’ve made you some recommendations on which are the best dog foods and the most awesome puppy foods for German Shepherd puppies as well as mature, fully grown German Shepherds. What should I consider when I’m buying dog food or puppy food for German Shepherds? 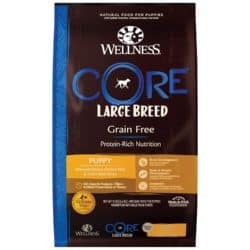 How do I pick a good specialized German Shepherd food? Can you tell me how to choose food for my German Shepherd puppy? At what point do I stop feeding puppy food and start considering adult mature dog food? What foods can German Shepherds be allergic to? Free from soy, free from wheat and free from corn! The starting point when deciding on or against a dog food for your German Shepherd is almost always going to be either the ingredients label or the nutrition facts. So what stuff should we be looking for in a good dog or a puppy food for German Shepherds? In total, your less active and more sedentary fully-grown German Shepherd will need an approximate caloric intake of 1,300-1,600 kCal daily. If you’ve got a super bouncy German Shepherd, this figure might be higher, and if you’ve got a working dog, he may need something as high as up to 2,100 kCal from his dog food each and every day. Good German Shepherd puppy food ideally will have a calorie content that’s higher than this, and overall vets recommend 40kCalper lb of body weight on a daily basis. For example, a 50lb puppy may burn somewhere around 2,000 calories from puppy food over the course of each day. If you can’t feel a German Shepherd puppy’s ribs, it’s possible that he is getting a little over the recommended range for daily puppy food. If his ribs are feeling particularly prominent, on the other hand, he may be in need of a few more daily calories from a higher quality puppy food like the puppy foods we’ve recommended. German Shepherd puppies of a healthy weight should have a body condition score of between 4 and 5. What this means is that your puppy’s ribs and hips should be easily felt, but his tummy shouldn’t stick out too much on each side. Healthy and hearty German Shepherd puppies will always be a little rounder than adults, but they should still have the noticeable “abdominal tuck” that gives German Shepherds’ bodies real definition. If your German Shepherd puppy is panting too much after only a little bit of light exercise, this is another sign that he may benefit from a little less puppy food! Same as other dogs, German Shepherds will always do, look and feel better when they’re getting quality protein that is sourced from real meat within their puppy food, or within their dog food. The best dog food for German Shepherds (and puppy foods, for that matter) will typically list a top ingredient like de-boned chicken, bison or something that’s got a real name and is definitely from a whole animal. By-product meals are the opposite of this, pretty much, as they provide protein but tend to be made from ground animal parts that we wouldn’t normally pick for our German Shepherds. Think chicken beaks, intestines, spleens and so forth- stuff that is deemed unsuitable for human consumption. In short, great puppy food for German Shepherds, like the best dog food for German Shepherd adults, will avoid the use of animal by-product meals as much as it can. Fat and protein together should be the key dietary sources of energy in the best German Shepherd puppy food, and the best food for their grown-up versions. When looking at the label for German Shepherd dog food or puppy food, you’ll be able to tell the best food for German Shepherd puppies from a lower quality product if you see that it contains fat from a recognizable source. Ingredients like lamb fat, or for example, pork fat are generally food indicators of this. You’ll mostly be compromising on the quality of your German Shepherd’s puppy food if you choose a dog food with mysterious ingredients like “lard” or “poultry fat” as the main fat source, instead of a dog food that incorporates real animal fat sources you can easily place. As noted by the AAFCO, the best dog food for fully developed German Shepherds should be comprised of at least 22.5% protein and a bare minimum of 5.5% crude fat. This ‘crude fat content’ for our German Shepherd’s dry kibble actually works out as giving him 12% of his daily calories from fat, which is why you’ll often see higher figures on the side of dog food packages. When it comes to the issue of grain-free kibble, you’ll find a whole range of different opinions online. Generic dog food brands often claim that grains such as rice, corn, and wheat are digestible and not harmful for dogs. This is often a topic of much discussion amongst dog owners, but what we DO know for a fact, is that carbohydrates such as the grains we mentioned are not required by any German Shepherd, either. In fact, there is no actual carbohydrate that is needed by your German Shepherd in order to function or to have a healthy and happy life. So why are carbohydrates often found in food for German Shepherds? Most commonly, carbs are included in dog food for German Shepherds because they are cheaper than protein sources such as real meat. 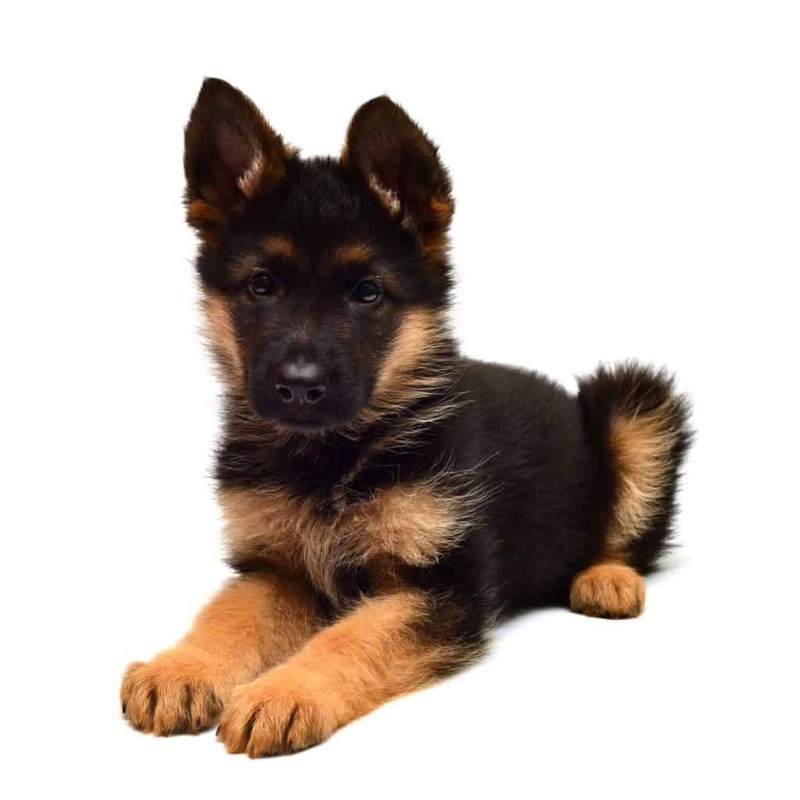 Grain-free dog food often tops the list of things to look for in the best food for German Shepherd puppies and their adult counterparts because our German Shepherd friends can be particularly at risk of displaying wheat intolerances. Vitamins are a super duper way your German Shepherd can achieve that extra bit of bounce in his step, and that extra enthusiasm when you play together! Similar to humans, German Shepherd puppies and grown-up German Shepherds should be getting this from original fruit and vegetable sources. 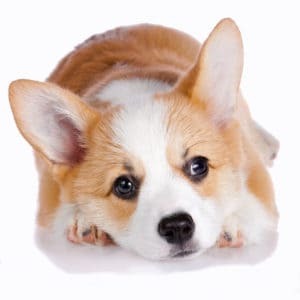 The best German Shepherd puppy food will swap in useful ingredients like sweet potatoes for carbohydrate content in place of fillers like grain and wheat, as sweet potato also gives your puppy’s food a bunch of nourishing vitamins. With this in mind, the best dog food for German Shepherd puppies and grown-up doggies should provide a variety of vitamins. Like with other mammals, this will commonly mean vitamins K, A, B1, B2, E and C from ingredients similar to spinach, kale, carrots, tomatoes, or broccoli. It’s also going to contain calcium, which needs to be balanced in the proportion of 1.2 to 1 with phosphorus for bone strength and growth. This is absolutely critical for German Shepherd puppies, so look out for a calcium level between around 1-1.5% in his puppy food, if you can. We’ve mentioned that German Shepherds as a breed are more susceptible than other dogs to wheat and gluten allergies. Going grain-free is often a good starting point to avoid any chance of your German Shepherd suffering itchiness, increased scratching behavior, or even black and purple patchy spots. 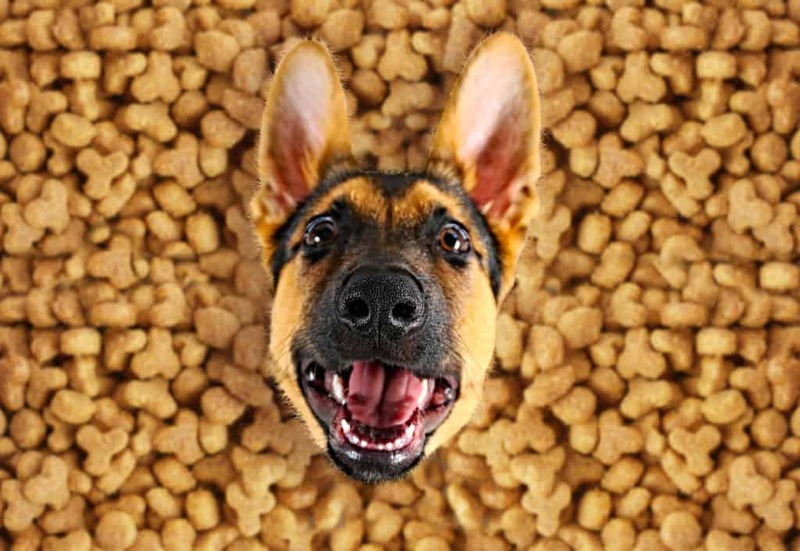 The best dog food for German Shepherd puppies potentially could be structured kibble-wise to address the fact that they have (cuter and) smaller jaws, as German Shepherd puppies won’t tend to have all their (42!) adult teeth till they’re around 6 months old. Nom nom! EPA and DHA which aid in fighting osteoarthritis, and can be naturally sourced from fish oil. As promised, we’ve rounded up the top picks we stumbled upon while researching the best dog food for German Shepherds. We are happy that the nutrient profile is right on with what’s considered healthy nom for German Shepherds who are eating to maintain. ‘Cause it’s crafted specifically for German Shepherd adults, it has a rough kibble texture for supporting their dental health! 1% calcium, balanced in a 1.2:1 ratio with phosphorus for doggy teeth! It also contains a fairly high amount of chicken by-product meal, which is typically considered a filling agent. On the plus side, this is where your adult German Shepherd’s chondroitin and glucosamine are coming from! 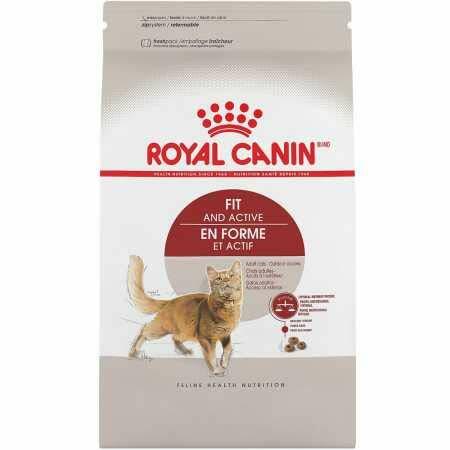 Royal Canin produce a strong contender amongst the best dog foods that is suited to German Shepherds past the 15 months mark, despite the slightly high(er) fat content. To be fair, this is probably a perfect figure if you are walking or romping around with your German Shepherd a lot, as they can be pretty active dogs! Coming in at the 17% fat mark, it may provide a few too many fat calories for less active German Shepherd adults. 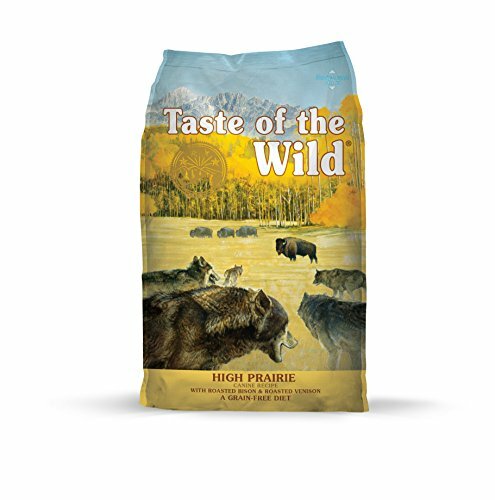 We’re comfortable and confident recommending Taste of the Wild yet again as a top caliber dog food for mature German Shepherds because of it’s solid nutrient mix, quality and sustainably sourced ingredients and complete lack of artificial preservatives. None really, it’s even all USA-made! We certainly can! In a similar way to grown-up German Shepherds, pups of this breed require the core macronutrients of protein and fat- in that order- for growth and development. What’s different, however, is that you’ll be needing to choose a specific puppy food for German Shepherd puppies that is formulated to supply these macronutrients in higher levels than an adult dog would need. This is because the best food for German Shepherd puppies should be the primary source of their energy and the building blocks for all the lean muscle they’ll be developing. As a minimum, 27% is a relatively healthy amount of protein for less active German Shepherd puppies, and this figure will be higher for those which are more energetic or naturally larger. It’s possibly more crucial for German Shepherd puppies to take in this protein from real meats- think lamb, boneless chicken, venison or even bison! Regarding fat intake for German Shepherd puppies, around 14%-19% is generally a good figure. Once again, make sure to have a look at whether this fat is coming from identifiable sources, and try to avoid puppy foods that are vague about the ingredients they contain! 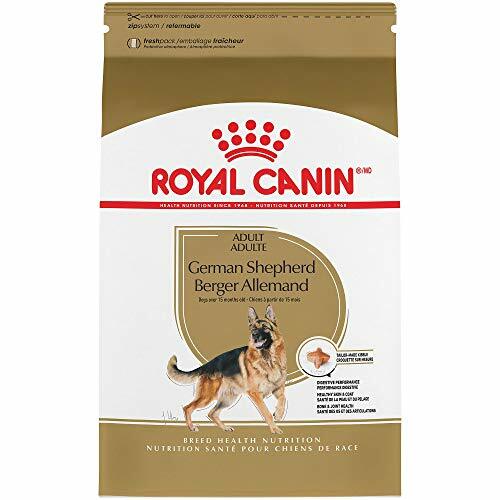 We’re happy to recommend Royal Canin’s product among the best puppy food for German Shepherds, and they’ve even designed the kibble to be smaller than the adult version. Isn’t that adorable? At least 0.9% calcium which is balanced out by phosphorus, so our little friends can start developing those strong bones and teeth! We absolutely think this is one of the best German Shepherd puppy foods we’ve come across. In fact, we’ve fed it to our own German Shepherd, and she just adores it. 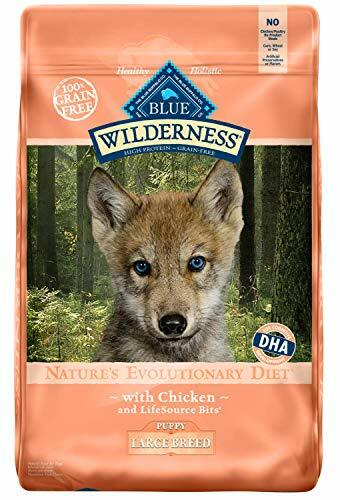 The highest listed ingredient for this excellent puppy food is boneless chicken, followed by chicken meal and pea protein! Free from soy, free from wheat and…you guessed it, free from corn! 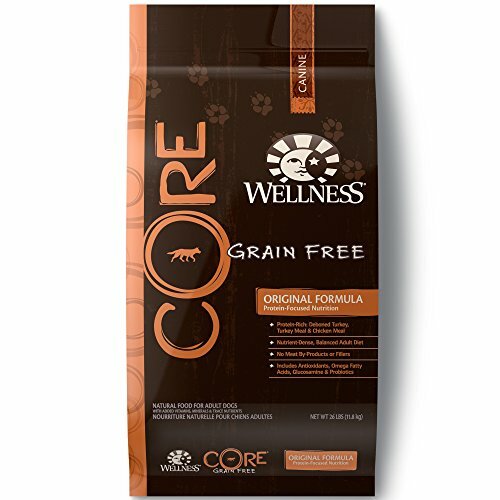 Wellness Core make what we rate as amongst the best food for German Shepherd puppies. 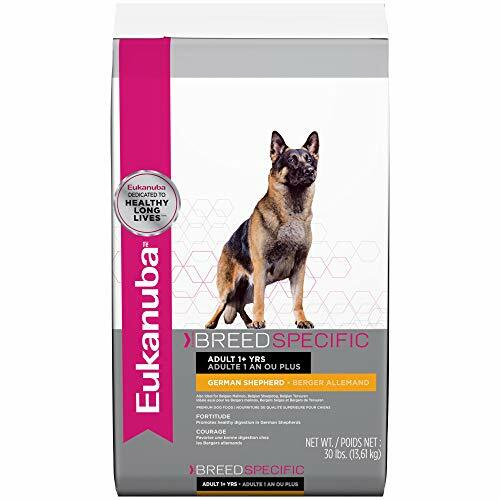 Its nutrient profile is outstanding, and it is free from artificial add-ins whilst being a valuable source of natural protein for German Shepherd puppies. 5 stars out of 5! Formulated with probiotics, another puppy food that considers a German Shepherd’s sensitive tummy! Wellness have managed to put a whole load of real veggies and fruit in here- there’s kale, spinach, blueberries, broccoli, parsley, sweet potatoes and more! Talk about vitamin content! Free entirely from added grain fillers such as soy, corn, wheat. Nope, not really. To us, this is another winner! There does come a point at which even the best food for German Shepherd puppies will be inappropriate for your growing friend. When your German Shepherd puppy is at a point where he’s 85% to 90% of his target mature weight, in other words when he’s around 8.5 to 10 months grown. At this time, you’ll be able to start replacing his German Shepherd puppy food with one meeting the recommended nutrient profile of an adult German Shepherd dog food. It’s been estimated that something like one out of every seven dogs is prone to canine allergies. German Shepherds, in particular, can be more vulnerable to skin allergies which you’ll most commonly see manifesting as irritated, reddening skin or increased biting and scratching behavior. Common examples of foods which can trigger allergies in German Shepherds are wheat, corn, and soy, which is why some of the best food for German Shepherds is entirely grain-free. More surprising but also quite frequent allergens include meats like chicken and beef, and dairy products. It’s also worth noting that the best dog food for German Shepherds also contains flaxseed oils or fish oil, as these are relatively rich in Omega-3 to help tone down the itching and swelling of your German Shepherd’s skin if he’s allergic. If you start to get an inkling that your German Shepherd has an allergy, however, always consult your vet straight away.